As disciples of Jesus Christ, we want to live the Christian life in a way which pleases Jesus. Someone has said, "The Christian life is not difficult, it is impossible." We cannot live pleasing to God on our own strength. A supernatural life must be lived by the power of the supernatural Holy Spirit. However, living a supernatural, God-pleasing life does not mean throwing our brains out the window! We have to study and learn what it is that pleases God and then cooperate with the Holy Spirit working those attitudes and actions into our lives. We enter into a true partnership with God. Working together also brings us together. A big part of the problem is that we all, by nature, think in the world's way. We have never developed a truly Christian world-view. We were born looking at the world upside down. But the world's way is backwards to reality. It is a fantasy world. When we are born into the God's world [i.e. spiritual birth] we enter reality. When we accept Jesus as Lord and Saviour, we enter a new world - the world of reality - unfortunately our mind is still trained in the old world's fantasy way. Our mind needs to be re-educated. That retraining comes as we study, meditate, memorize and apply the Word of God. The articles on this page - and the other pages - present Biblical answers to various questions and situations which come up. God wants our mind and actions trained in His pathway of Christian life, not the devil's road of death. We need to develop a truly Christian world view. Understanding the Christian Life takes courage. We all have cherished beliefs that we hold on to. Looking at life from God's perspective means being willing to open our minds to what God reveals in Scripture. It means being willing to let go of any ideas and preconceived beliefs which are shown to be invalid by the Word of God. [Which means that everything you read and see on our Free Bible Study Lessons site or elsewhere must be judged by the word of God in context. If it doesn't measure up, reject it.] We are launching into a brave new world, but we hold the hand of the One Who has gone before us. 2. The Mental, i.e. the mind, thoughts, desires, emotions, and intellect, and 3. The Spiritual, i.e. that part of us which is capable to interacting in the unseen but very real realm of the spirit. Interestingly, the term "Christian" was not developed by Christians themselves. It was a term put on believers in Christ by those who observed their Christian life. It may have first been used in mockery, but soon it was embraced as truly descriptive of believers in Christ. Is The Kingdom Of Heaven Destined For Victory Or Defeat? Many Christians hold a similar view of "victory" for the Kingdom of Heaven. They believe it will be continually bashed and tormented by Satan and his followers until Jesus physically returns to rescue it. If that is the case, can the Kingdom of Heaven - in all honesty - really be called victorious? How Can A Good God Allow Evil People? We try to avoid thinking about our own inevitable meeting with this fearful foe. But when we come right down to it: What is it? Where did it come from? Is it the end of all things or the passage from one world to another? Is there more than one kind? Whether we like it or not, we need to know these answers before our final appointment with this villain. Are Only A Few Chosen To Be Saved? Will the majority of people on the planet be condemned to hell? Will the love of God in the life, death, and resurrection of our Lord Jesus Christ really have so little impact on the lives of people? While stress is not pleasant, it is not necessarily a bad thing. It can make a person stronger or it can break a person apart. It can draw a family together, or it can drive it apart. Before we know it the life problems can leave us lying, wounded and bleeding, in the ditch. If God is in control why do bad things happen to good people in the Christian life? Does God really care? Isn't failure to tell the truth the action of irresponsible people trying to get out of trouble or deceive an innocent victim? Isn't it strongly condemned in the Bible as one of the things God hates? How can it be responsible to lie? What impact does profanity have on society? Why does it increase as a society moves downward to destruction? What spiritual and physical destruction does it bring? Is there a difference between different types of swearing or cursing? We start with good desires and goals, but often old sinful habits and desires rise up and we bite the dust even as we are trying to live the Christian life. We know that eating the dirt is the lot of the Serpent not a child of the Living God. Do Women In Leadership Contradict The Bible? In looking at this subject, we have to be careful not to allow the norms of our society to influence how we look at the Scripture, specially at women in leadership. It is easy to accept what society says and then go to the Bible to try and justify what we have already decided to believe. Generational Curses: What Does The Bible Teach? Do the sins of the fathers really pass down to the children? Is that fair and just? 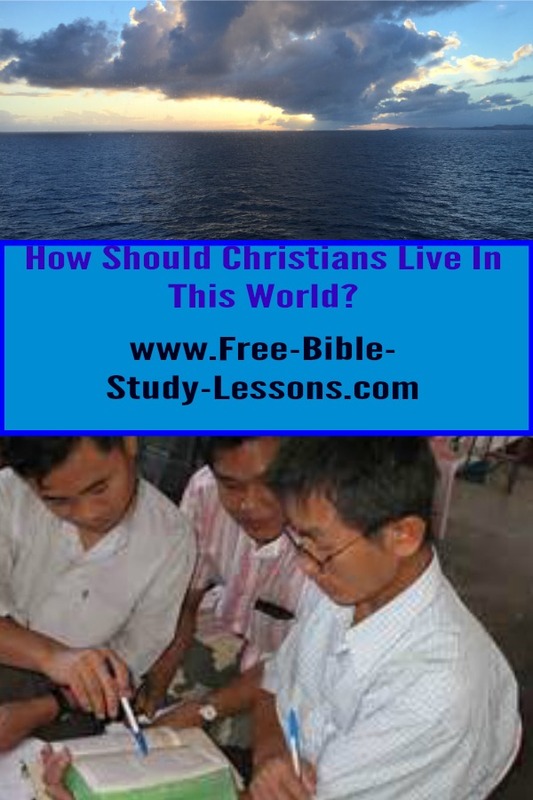 Discover what the Bible really teaches on this topic and be set free. You are in a war. Discover the 9 principles of war and the weapons God has provided. Discovering God's leading and direction in the Christian life can seem mysterious and unknowable. We can feel it is like trying to follow footprints on the ocean. The church is compared to many things in Scripture, but two of the most common are the warrior and the lover. There are two main Christian approaches to Bible Study. Whichever Bible Gateway you enter through will greatly influence your understanding of the Bible. It is important to enter through the correct one. Part Four: Does Prayer Influence God?